It's been a busy week so far at the Hall, with the sole Cygnet emerging out of the nest and on to the moat just in time for the Hall's very first Mop-up Monday. The Swans - Sam and Cinders - thankfully made their nest somewhere quite sensible this year. In past years eggs have been found in the Farm Buildings, in the doorway to the Gatehouse and even in the middle of a field - it was all starting to get a bit "Jemima Puddle Duck". So it was to our great relief when they decided to nest on the side of the moat, but well away from passing tractors and members of the general public (who's interested stares are not always appreciated by the over-protective Sam). A number of eggs were laid over a number of days, but the sole-Cygnet is all that emerged. Hmmm... Solo the Swan - it has a ring to it! Mop-up Mondays were first dreamed up to try and offer a way of visiting the Hall out of season. There were a few constraints - we needed to know how many were going to turn up so that we could control parking, and when they were going to arrive; so we hit on the idea of a pre-bookable guided tour. We were a bit worried at first about covering costs, but once we hit the 34 mark we realised that we'd had a potentially very good idea and that tickets were in demand. So much in demand that we have had to lay on another Mop-up day on Monday 7 November and we've already sold 3 tickets! 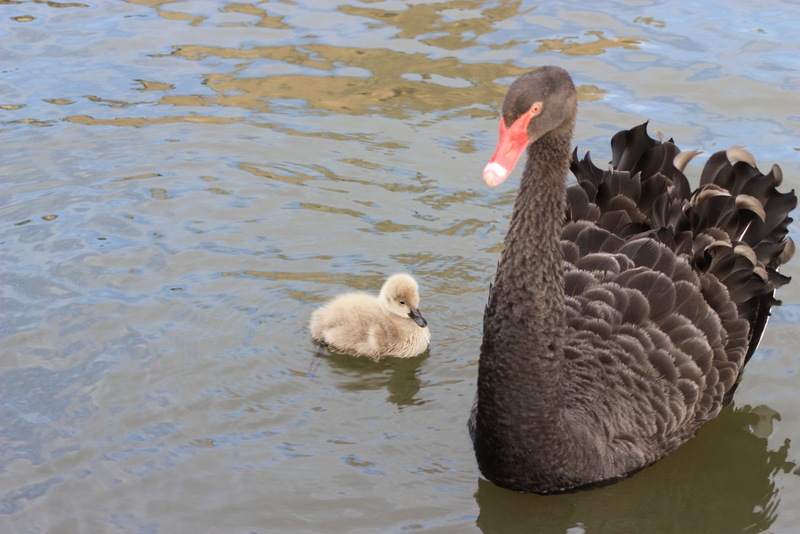 Cool, how wonderful to see a new cygnet. I hope it grows up to the expectations of its parents... Sort off! Need to come and have a look... It has been a couple of months since I saw "my" cows. Oh, black PT has changed into white jeep. I'm still the same old me, camera strap around the neck... can't wait to see the cygnet!